Users will continue to have access to OnLive’s services until April 30, including the OnLive Game Service, OnLive Desktop and SL Go, and the company's Second Life browser. After today, no further subscription renewals will be charged for any of these services, the company said. Users whose subscriptions renewed on or after March 28 will be refunded. Why this matters: Onlive's subscribers are losing a unique service that had no real competition—perhaps for good reason. At its inception, OnLive was a pioneer: Network-based computers like Citrix had existed for some time, but no one had adapted the same principles to gaming. Users, armed with either a microconsole or basic PC, could tap into OnLive's network of servers and render a high-end game at maximum settings without the need to invest in a high-end PC. OnLive allowed subscribers to buy games elsewhere and play them using OnLive's servers. 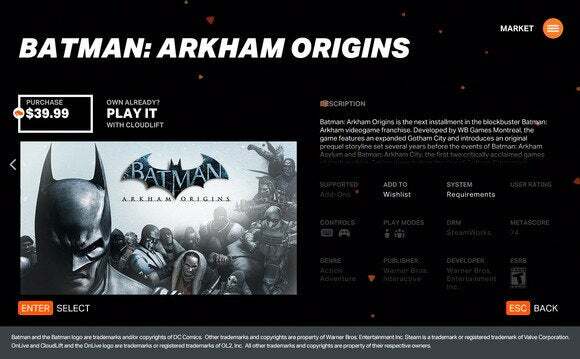 OnLive's magic relied on allowing its users to play those games without latency issues, as the information was passed back and forth between the player and the OnLive servers. But the business model apparently wasn't sustainable. In 2012, OnLive unexpectedly imploded, as founder Steve Perlman unexpectedly sold and restructured the company. 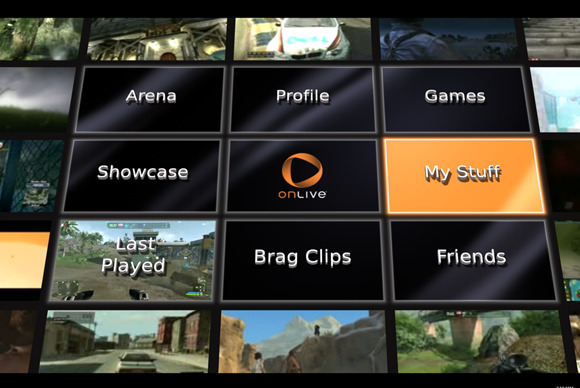 In March 2014, OnLive was reborn. Although Perlman was no longer with the company, the revamped OnLive kept many of its features: the cloud gaming technology, now tied in with Valve's Steam service, and the PlayPack, the library of 250 or so older games that was available to users to play for a monthly fee. When OnLive underwent its restructuring in 2012, employees said that OnLive had drastically underestimated the number of servers it needs, versus the number it actually used. It's possible the same situation occurred, again. Now, OnLive's assets will join Gaikai, the OnLive cloud gaming rival that Sony bought in 2012. Gaikia is widely believed to be powering the Sony PlayStation Plus service, which allows owners of the Sony PlayStation 4 to play older PS3 games via the cloud.